Our Sichuan itinerary features all the best China has to offer. Students learn about the iconic Giant Panda in a hands-on environment – feeding them up close, making food for them, cleaning their enclosures, and practicing research methods. In addition, students participate in cooking classes, learn Kungfu, hike Mt. Qingcheng (a Taoist holy site) and see the largest stone Buddha in the world – the Leshan Buddha. A perfect CAS trip with the unmissable Chinese bear mixed in, we guarantee this to be an unforgettable experience for students and teachers alike. Our school trips are completely customizable and can be tailored to meet your requirements. Want to visit Sichuan but with a different subject focused theme such as culture, Mandarin, geography, STEM, art or music? Speak to a specialist now to find out which additional destinations and itineraries are available for this trip. Meet your leaders at the airport and transfer into Chengdu city. Teachers and students will be briefed on health & safety and the trip plan on the bus. We go straight to visit one of Chengdu’s oldest streets; Jin Li Street, to take in some Chinese charm. Students will be given a scavenger hunt to complete in teams with questions such as “How many shops in total are selling rabbit heads?”, “Name three details specific to Miao style silver crafting.” The winning team will receive a small prize from The Learning Adventure. For dinner we enjoy a Sichuan Hot Pot (a bubbling broth in which you dip strips of meat) as a welcome banquet! In the morning we go on a walking tour of Chengdu’s Wenshu Monastery where we will take some time to sketch the tranquil scenes in and around the temple. Then, we go for a short visit to the Sichuan Museum where students will be divided into groups and asked to create their own historical timelines based on their group’s focus topic. Next, for lunch, students will participate in an authentic Sichuan style cooking class to cook up their own meal. In the afternoon, we head to a local school to interact with Chinese students and discover more about local school life. Typically, this involves a school tour, joining some lessons, playing some sports, eating lunch together and participating in other various activities alongside Chinese students. Your students will be expected to each prepare a small gift for the local students and to prepare a small speech or performance for the welcoming ceremony beforehand. Finally, we visit a traditional teahouse to see Sichuan Opera and the famous face-changing act. Today we travel to a nearby Eco Farm to experience sustainable agriculture first-hand. Anlong village is an experimental eco farm that is also a chemical-free zone. After a morning of hard work, we enjoy a delicious and organic rural lunch (please note, only vegetarian options are available). We continue working the fields after lunch until the late afternoon. Typically, work on the farm includes digging, tilling, watering, planting, fertilizing, and weeding. After a healthy snack and rest, we depart the farm to transfer to Dujiangyan for the next day’s service project. Today, students will have a once-in-a-lifetime experience at the Wolong Panda Research Base. They will learn about China’s national animal as they feed, clean and nurture these wonderful animals. They will spend the day with the local caretakers and panda experts learning about the animal. 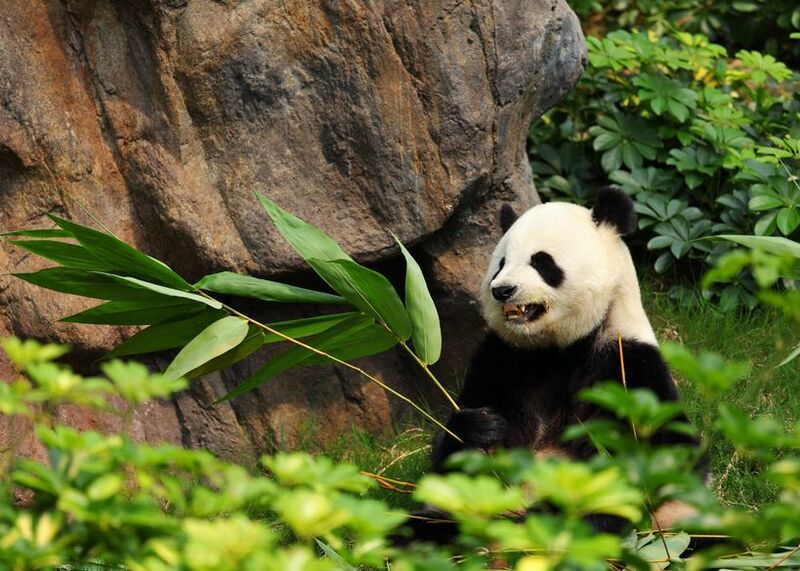 The activities include; interactive video, creating panda cakes, feeding them bamboo, cleaning the cages and caring for the pandas, as well as work caring for the local tea plantation. In the evening, after returning, we allow students (upon the teachers’ discretion) some free time to explore the Old Gate that is directly opposite our accommodation. This morning we head to Mount Qingcheng, a Taoist holy site, and hike to the mountain’s peak. We take a cable car for part of the journey to enjoy the spectacular mountain views. After our hike, we transfer to Leshan city to ascend the world’s largest stone Buddha. Finally, we celebrate the week’s hard work with a pizza party and Talent Show (prizes provided by us!). 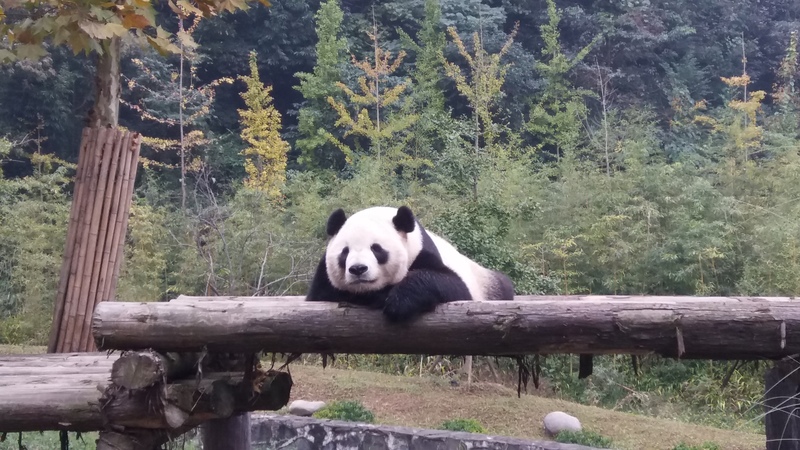 Service & Sustainability; at the Giant Panda Research Centre students learn in-depth about the lives of the Pandas: what sustains them, how to care for them, and the reasons for their once-endangered-status. One of the most successful wildlife restoration projects of our age, students learn about hope and action – the evidence of how human initiative can indeed combat the damage that we have done to the planet’s wildlife. Action; students will push themselves physically through activities such as hikes and farming, not to mention the physical labour they’ll have to put in for their volunteering at the Panda Base. Creativity; students will be sketching, cooking, experiencing a traditional Sichuan Opera, and finishing up the trip with a talent show of their own. Culture; we will be visiting significant Tao and Buddhist temples, going to a traditional Sichuan Opera, and viewing the Leshan Buddha. Our trip leaders will be sharing the history and significance of these sites throughout the itinerary, ensuring that students finish the trip with a solid foundation on the varied culture and history of Sichuan.